The Speaker of the Iranian Parliament blasted regional Islamic countries for attending the Conference of Religions held at the United Nations last week. Saudi Arabia led the conference and Israel attended. 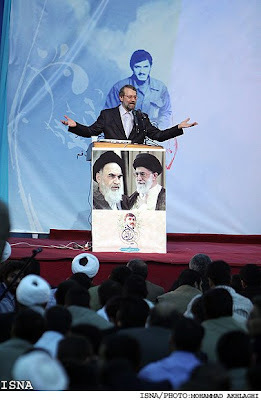 “These people (heads of Islamic countries) who raised their cups there to the health of the head of the Zionist regime should beware not to lose consciousness when they get drunken,” Larijani said, the Islamic republic news agency reported.